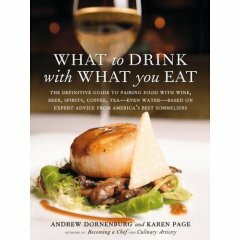 If you're looking for the lowdown on food and beverage pairings, you'd probably do well to check out What to Drink with What You Eat, by Andrew Dornenburg and Karen Page. It's billed as "The Definitive Guide to Pairing Food with Wine, Beer, Spirits, Coffee, Tea - Even Water - Based on Expert Advice from America's Best Sommeliers." If you're going to buy the book solely for the advice on pairing food and tea, I'd caution you to look at a copy first. While it contains some excellent advice about tea pairings, as well as the other beverages mentioned, wine is really the primary focus of the book. To read my full review of What to Drink With What You Eat, at Epicurean.com, click here. It's that time of year. Here are a few teapots that seemed appropriate to the occasion. The first (pictured) is currently up for grabs at Amazon. 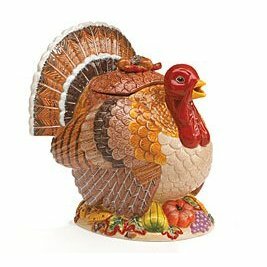 It's described as a "Turkey Thanksgiving Teapot Autumn Tea Pot Holiday Home Decor Kitchen Party Entertaining Gift." But I guess that goes without saying. As one of the selling points notes, it's "perfect for table top, bedside table, or desk." Darn right it is. Hurry up, though. Only $24.98 and just one left in stock. From the Puzzle Museum, which describes itself as "home to the World's finest collection of Mechanical Puzzles," comes a photo of a turkey-shaped pot from Peru. Scroll to the bottom of the page to feast your eyes upon it and feel free to congratulate me on my clever play on words. As I tend to mention just about every time the subject of flavored teas comes up, I'm not much of a fan of them. I guess I could be accused of belaboring the point. A good jasmine-flavored green would generally be an exception, though. Rishi's Jasmine Pearl fits my description of a good jasmine-flavored green. If you haven't run across Jasmine Pearl before, it would be worth your while to give it a whirl. As you can see from the photo, it's composed of small balls of jasmine-scented green tea, in this case an organic green from China's Fujian province. The jasmine flowers used for flavoring are also organic. "The most tender green tea leaves and buds are hand rolled into small pearls and infused with the essence of fresh jasmine blossoms. The fragrant blossoms are mixed with our reserve Dragon Pearl green tea according to a traditional tea scenting process that dates back more than 9 centuries." This one has a very smooth taste. Like most good green teas, it stands up well to repeated brewings. I brewed it at 90 seconds, rather than Rishi's recommended 3-4 minutes, but I find myself underbrewing these days with almost every tea I drink. 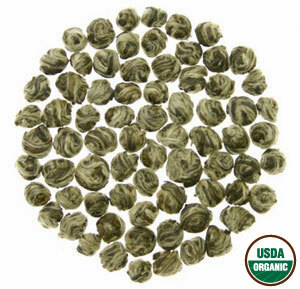 If you're a fan of display teas, Jasmine Pearl pretty much fits the bill on that count too. It's fun and relaxing to watch the pearls unfurl while you're waiting for your cup of tea. ...to these desert people, tea drinking is one of life's non-negotiables, taking precedence over virtually all else. 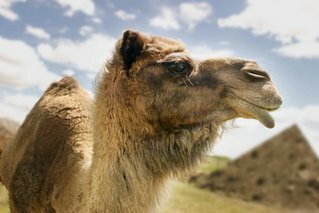 It is such an ingrained ritual, it seems as though it's been part of their culture since prehistoric times. 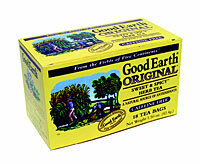 In fact, tea was first imported into this part of Africa in the early 1800s. For nearly a hundred years, it remained a luxury item, consumed mostly by the wealthy. Only in the early twentieth century was it adopted by the culture at large. It was so popular, and addictive, that Muslim scholars wrote long opinions on whether drinking it was permitted by the Koran. Historically and today, the everyman's brew in this region is green tea from China--though not because the nomads were aware of its myriad health benefits. The British deemed green tea to be undrinkable, so their merchants used crates of it as ballast for their ships. When they docked at the Moroccan port of al-Swaira, the tea was unloaded and sold off cheaply, then the holds of the vessels were filled with African goods. As you may have gathered from reading the last few reviews, the fine people at Rishi Tea were good enough to send some samples my way recently. Of that bunch of stuff, the one that turned out to be something of a surprise was the Pu-erh Ginger. I haven't had a lot of experience with Pu-erh. In fact, I've tasted exactly two varieties. One was not bad at all and the other was...let's just call it an acquired taste. So I wasn't necessarily expecting too much from this experience. Especially since, as I've mentioned before, I'm not overly keen on flavored teas. Even though I'm quite a big fan of ginger, I wasn't expecting to have much good to say about this one. As it turns out, I rather liked it. Some Pu-erh has a reputation for having a flavor that you might call earthy. Or you might call it like drinking from a mud puddle, depending on your inclination. I thought I caught a faint undertone of earthiness in this variety, but the ginger and orange peel worked to tone down any strong flavors and make the taste rather pleasurable. Granted, the ginger bite might not be for everyone, but it's not too pronounced. I think I could find myself getting used to this one. 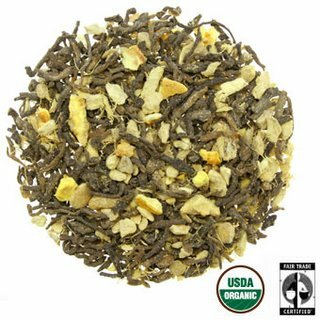 For an in-depth backgrounder on Pu-erh, go to Rishi's Store and click Pu-erh Tea. From Taiwan, a country that's probably best known for it's oolong tea, comes an article about a tea variety simply called Taiwan Tea No. 1. The Taipei Times reports that the researchers involved in devising this black tea are looking for a snappier name for it. If you'd like to contribute a suggestion, send it to them at tres202@ttes.gov.tw. Read the full article here. 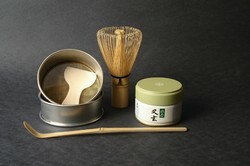 Here are a few offbeat teas I ran across recently. I thought I should share. African teas don't seem to get as much press as the varieties grown in China and India. But if you scroll to the bottom of this page from Nothing But Tea, you'll see several interesting varieties that originate in Malawi (if the name sounds familiar, thank Madonna). Also take note of the unusual Georgian teas listed at the top of the page. You don't run across yellow tea too often, but if you're keen to try some check out these two varieties from Seven Cups. If tea and chocolate get you going, you might find this article from Culinary Muse interesting. It's about a new line of tea-flavored chocolates from Charles Chocolates and Teance Fine Teas. Rock and roll fans should take note of the fact that Violent Femmes bassist Brian Ritchie has moved to Sydney, Australia to open a tea shop. He will continue to play with the band as well. More here. Last up is a bit that's not really about tea, but it's too good to pass up. A Nice Cuppa recently wrote about a new model from Audi that's equipped with an espresso maker. Is it just me or is this an incredibly dopey idea? And I don't say that just because I'm biased against coffee. Anyway, Nice Cuppa's post seems to be MIA, but you can read all about it at Gizmodo - here and here. For most of us, bottled water is just water and that's the end of it. But for Michael Mascha, publisher of the FineWaters site and author of the new book, Fine Waters: A Connoisseur’s Guide to the World’s Most Distinctive Bottled Waters, it's not that simple. If Mascha has his way, bottled water will be taken seriously one day, rather than being viewed as just a convenient way to drink while you're on the run. We reviewed Fine Waters here a few weeks ago. Michael Mascha was kind enough to take a few moments out of his day recently to talk to us about water. In his book, Mascha estimates that there are about 3,000 varieties of bottled water worldwide. He guesses that he's tasted between 300 and 350 of those. Asked whether he could pick a favorite, Mascha is quick to respond, "No, and I'm glad I don't have to." Mascha does mention a few types of bottled water he's fond of, including soft (low in mineral content) rainwaters, high TDS (total dissolved solids) waters, naturally carbonated waters, and carbonated waters with smaller bubbles. He says he likes the latter because the tiny bubbles "don't disturb the food so much." As for bottle designs, Mascha says he enjoys bottles that have some kind of connection to the area they come from. He names Antipodes (New Zealand) and L'Aubade (South Africa) as examples. One of the most unusual bottled waters Mascha's run across is not one that's meant for internal consumption. It's Dead Sea water with a very high mineral content and it's made for external use. Though he can't help but wonder if the sports cap sends a mixed message. Mascha says that bottled water doesn't get better with age, but by the same token, it pretty much has an infinite shelf life. He stresses that the waters themselves may vary widely in age, depending on their source. As the conversation turns to water and tea, Mascha says that an inexpensive home filtration device should produce water that's on about the same level as a low-end bottled water. Though he hasn't done a lot of experimenting with water and tea, he uses soft water to brew rooibos herbal tea and feels that rainwater, with its very low mineral content, would be a good choice in general. As for a specific brand that might be readily available and good for tea drinking, Mascha say that Fuji is "a good thing to start with." Thanks to Michael Mascha for taking the time to speak with us. Read our review of Fine Waters here. C-Swiss Hemp Ice Tea bills itself as "the refreshing hemp ice tea." I'd be willing to be that it's actually the only one, but I could be wrong. The product, which is made in Austria, is a blend of green and black teas and also contains hemp syrup. It does not contain any THC - the ingredient in marijuana that makes you goofy. Although the fact that the manufacturers chose to include a marijuana leaf on the can, indicates that they might want you to believe otherwise. This appears to be a slight variation on the hemp tea we mentioned in June. At the time the product was not available in the United States, but it appears that that's about to change. If you've been choosing bottled teas over soda in the hopes that they are better for you, then just hold on a minute, pardner. Some of them may actually be better for you, but in the sweetness category, at least, they sometimes exceed soda. Here's an article from the Australian press that offers more details. Also from Australia, a report on the tea shop scene in Sydney. Looking for "the most exclusive teas in the world"? Well, look no further. 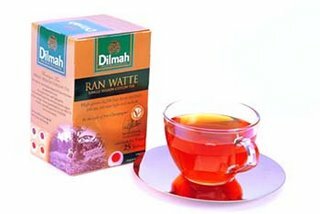 According to this Web site, that would be the Watte Series Teas, from Ceylon's Dilmah tea company.